Townsend Murphy Zink was born on December 28, 1858 in Hillsboro, Ohio. While he was still a young child, his parents, James and Clarissa, picked up and moved to Jasper County in Iowa, not far from the county seat of Newton. Not one for the farm life, Zink opted to study law at the State University of Iowa. He received his degree in June 1883 and moved to Le Mars, where he would practice for the remainder of his life. 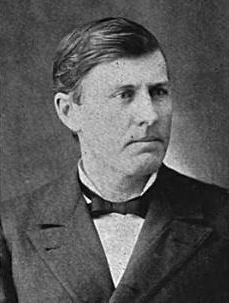 Between 1885 and 1886, Zink served as the Le Mars Recorder/City Clerk. As the years went on, he grew to become one of the most prominent attorneys in northwestern Iowa. At one point he ran to be a state congressman, but as a Democrat in a largely Republican populace, he lost the election. Over his long career, Zink practiced with several different law partners. During the last few years of his life he partnered with W.J. Kass and Albert Kass of Sioux City as the law firm of Kass, Zink, and Kass. That last tidbit may not seem significant, but it will play a minor role in one of the two future stories. He married Miss Emma Nix on December 2, 1885 and two years later, on December 20, 1887, their only child, a daughter named Margretta was born. Margretta would eventually marry Clarence G. Becker and move off to San Francisco. Sadly, Mrs. Zink died with her husband at her bedside in early October of 1910. He remained a bachelor for the next sixteen years before marrying Ida Bennison, who had lost her husband 7-½ years prior. The two had known each other for thirty years and as she would later state after his death, “His daughter and mine were the best of friends.” She added, “We were ideally happy,” a statement that will seem oddly surprising as you learn the remainder of this story. On Thursday September 4, 1930, T.M. Zink was rushed to the Sacred Heart hospital in Le Mars. The diagnosis was gallstones and the doctors concluded that they needed to operate. While a fairly routine procedure today, this was not the case back in the 1930’s. The surgery was risky and considered quite dangerous. Shortly after the surgery his condition was reported to have been satisfactory, but Zink took a turn for the worse and passed away on September 11, 1930 at 72-years of age. Having been such a prominent member of the Le Mars community, his death was front page news in all the area papers. 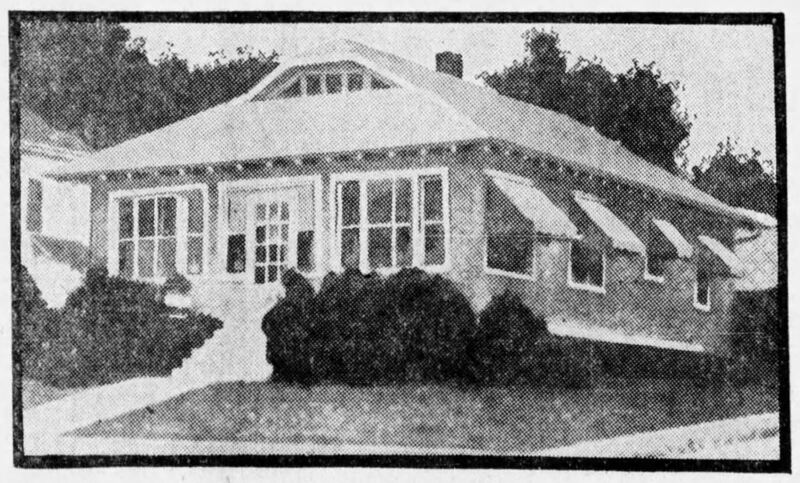 Hundreds attended the funeral services that were held at his home at 112 Third Street, SE, which looks amazingly similar today as to what it looked like back in 1930. Home of T.M. Zink at the time of his death. 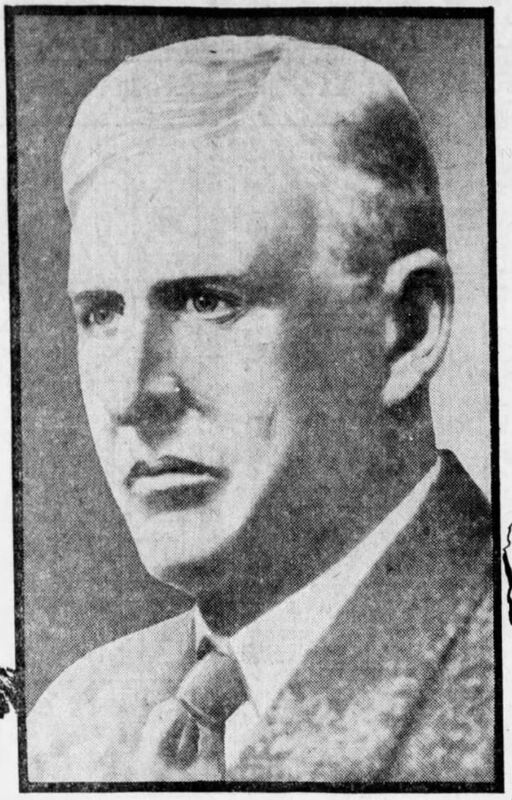 From the November 23, 1930 issue of the Arizona Daily Star. Former home of the late T.M. Zink today. Note how similar it looks to the photograph taken in 1930. Image from Google Maps. The Le Mars Semi-Weekly Sentinel concluded their reporting with this sentence: “His name is one that will last as long as the history of Le Mars secures a place in any record of moment.” If only they could have had the foresight to know just how true those words were to become. Within forty-eight hours of that statement being set down in ink, the contents of Zink’s will would be revealed and the eyes of the world would be suddenly focused on Le Mars. It was when one reached the fourth paragraph that things start to get interesting. “Pay to my daughter, Margretta T. Becker, the sum of five dollars, provided she shall survive me.” Adjusted for inflation, he left his daughter a whopping $73.00. In the next paragraph he states, “I make no provision for my wife, Ida Bennison Zink, owing to the prenuptial contract between us, which will be found with this will…” If she would like to continue living in their house, he added, “she shall have the option to rent it for forty dollars per month for such time as she wishes.” That would be approximately $585/month today. So, here we have a successful lawyer who leaves five bucks to his daughter and has the nerve to charge his wife rent to continue living in the home that they had shared for nearly six years. Just what did he have in mind for the remainder of his estate? The money was to be lent out in the form of first farm mortgages or invested in United States bonds. Certainly not the greatest yielding investment vehicles, but they were relatively stable and secure choices at the time. It was estimated at the time of his death that Zink was worth somewhere between $40,000 and $80,000. Let that mature for seventy-five years gaining 4% per year and that value inflates to between $750,000 and $1.5 million. If the trust could average 6% per year, his estate would grow to between $1.5 and $3 million dollars. This is exactly what Zink had in mind when he penned the document and he had grand intentions for that money. This all makes him seem like quite the forward thinker, particularly for 1930, but he did offer up one big exception. It’s a whopper and would instantly bring the late T.M. Zink worldwide fame. Ouch! All this coming from a man who had just married for the second time six years earlier and was at his first wife’s beside when she passed away. 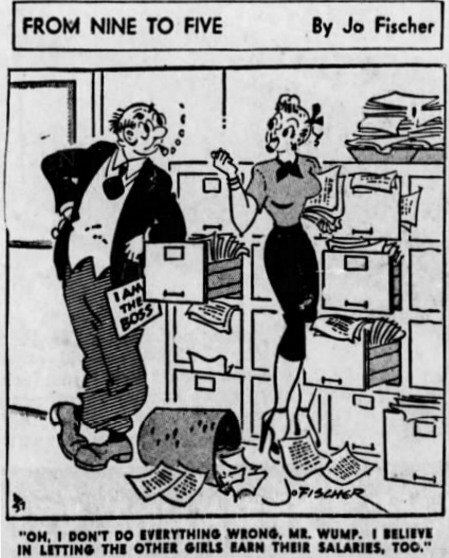 Ida was quoted in the press stating that her husband was “most gracious to them socially,” but found women to be difficult to deal with in a professional setting. Zink was very specific as to how his estate would be handled. I don’t want to bore you with the details since the will filled up ten typewritten pages, but here is a quick overview: The building and the land that the library was to be built upon would be chosen by a group of three men over the age of fifty. The specific contents of the library would be chosen by three additional men, all over the age of forty. None of these six men could be affiliated with any religious organization. And, should the library never be built, then the trust would become an endowment for the State University law library. The sensational nature of this story placed Le Mars on the front page of newspapers practically worldwide. Yet, Le Mars had a big dilemma on their hands. If they accepted the terms of Zink’s bequest, the town would forever be a tourist attraction. People would come from all around to see the world’s only womanless library. Yet at the same time, it’s probably not a great idea for any community to have a womanless library. Of course, there is a big difference between suggesting that someone is of unsound mind and actually proving it. Personally, I found his will, of which I have only presented the highlights of here, to be very well written and thought out. It was speculated at the time that it would be very difficult to challenge in court. There was talk in the press that a settlement might be reached between Margretta and the administrators of the estate, but that was never to be. The state’s attorney general was gearing up for a possible fight, but that also never happened. Donahoe supposedly learned all this by studying letters that Zink had penned. That brought an abrupt end to the Zink womanless library. It was never to be. His daughter was to get everything, although it had been revealed in court that the value of the estate had dropped significantly since the Great depression hit. At best, Zink’s holdings were now worth $25,000. The deepening worldwide economic crisis and an ever-growing legal bill were sure to reduce this by an even greater amount. By the end of the year, the value of the estate had dropped precipitously to about $10,000. Yet, there were still legal challenges to deal with. On Thursday July 2, 1931, Zink’s widow Ida filed a claim for $2,929.83. Supposedly, since June of 1925, Mrs. Zink had paid all of the household expenses, including the electric bill, groceries, and restaurant checks. In late December of 1931 it was revealed that a copy of a promissory note for $10,000 was filed in probate court and then had it quickly withdrawn. Payable to a woman named Irene Brown, the note was supposedly signed by Mr. Zink in April of 1930. No one was sure if the document was authentic, but if it was, payment would effectively wipe out every single dollar remaining in his estate. The biggest problem was that no one could locate Ms. Brown. She seemed to have vanished off the face of the Earth. Zink may have chosen the Le Mars Loan and Trust to handle his estate, but in the end it was a good thing that the will was invalidated. Like so many others during the Great Depression, the bank went belly-up and was taken over by the state banking department on February 4, 1933. Since Zink was both an investor and the Vice-President of the bank’s board of directors at the time of his passing, his estate was named as part of a lawsuit brought on by depositors who had lost their life savings. The courts determined that steps had been taken by bank officials to avoid payment to the depositors and the Zink estate was ordered to pay $1,000 in stock liability. Yet, it wasn’t all bad news. After a diligent search, Zink’s daughter Margretta and the administrator of his estate, H. R. Schulz determined that his former law partners in Kass, Zink, and Kass had ripped him off. An agreement was reached where the partners would pay the estate $20,000. On May 12, 1937, the body of T.M. Zink was disinterred from the cemetery in Le Mars. He was reburied next to the grave of his first wife in Manchester, Iowa. Zink’s second wife Ida passed away in her apartment at Le Mars’ Union Hotel on October 7, 1940. His daughter Margretta went on to live a long life. She died in April of 1979 at 92-years-of-age. It’s nearly impossible to determine how much she inherited after all of the dust finally settled. Surprisingly, it was later learned that much of this litigation could have been avoided. On January 9, 1935 it was announced that a notarized deed dated August 25, 1920 had been rediscovered. In it Zink had conveyed all his property, both real and personal, to his daughter. It had all been hers the whole time. In my first book, Einstein’s Refrigerator, I wrote about attorney Charles Millar who died in 1926 and specified a number of humorous bequests in his will. The most famous of which was his request that the remainder of his estate be given to the Toronto woman who gave birth to the greatest number of children in the ten-year period following his death. The Baby Derby was still ongoing when Zink penned his will, so I can’t help but wonder if, quite possibly, T.M. Zink was attempting to pull off the same type of practical joke. 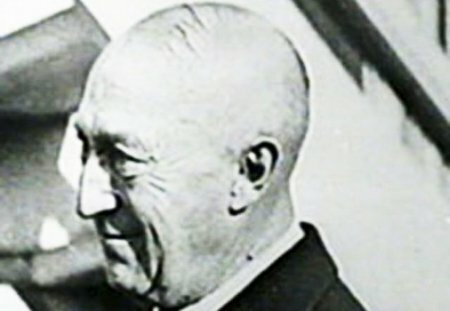 Charles Vance Millar left a large portion of his estate to the woman who had the most children in the 10-year period following his death. 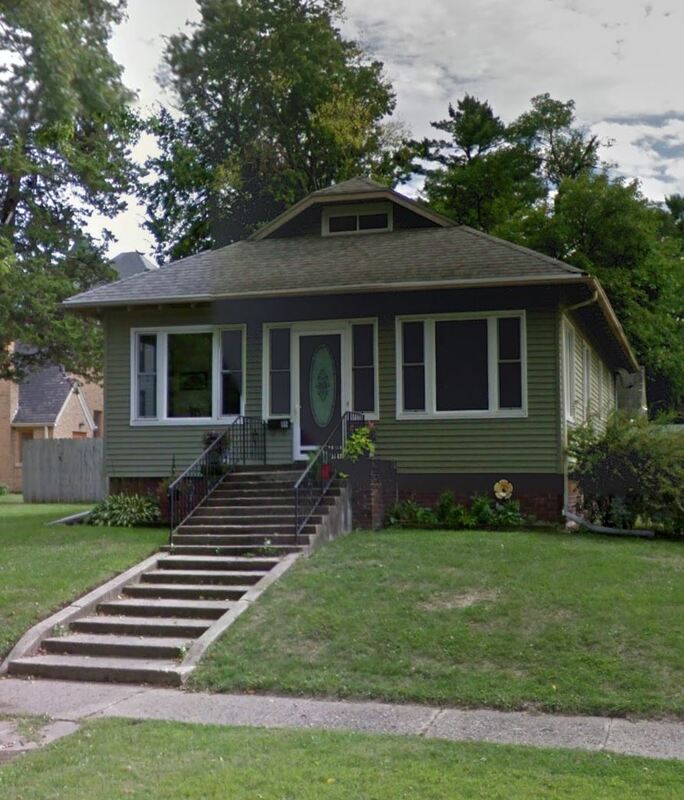 If you are wondering what became of Irene Brown, the woman who claimed the $10,000 note against the estate or what happened to Zink’s properties after they were transferred to his daughter’s name, I’ll answer those questions in the next two podcasts. Let’s just say that I have two excellent stories that involve the near-hanging of a judge, martial law, famed lawyer Clarence Darrow, a missing husband, a woman buried in a backyard, and much more. If you live in or around Le Mars, you may already have a hint as to what is to come. For all the rest, let’s just call them Le Mars, Part II and Le Mars, Part III for now. I don’t give anything away just yet. Useless. Useful? I’ll leave that for you to decide.